Many folks time their retirement to coincide with milestones—35 years on the job, say, or reaching age 65, or saving $1 million. But more than a number, you have to be ready, financially and psychologically. Here are three signs that it might be time. Financial professionals can (and do!) disagree on the merits of paying down your mortgage before you retire. Suze Orman, for one, extols the financial and psychological virtues of heading into retirement without housing debt. 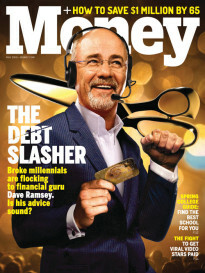 On the other hand, Thomas J. Anderson, author of The Value of Debt in Building Wealth, says retirees can benefit from the mortgage interest deduction (though the new GOP tax bill lowers the amount that homeowners can write off for new mortgages), and also grow their nest egg by investing the money they would have used paying down principal. Yet there’s broad consensus that you should eliminate all credit card and other high-interest debt before retiring. If you haven’t paid down debt that’s not tax-deductible by your 50s, now’s the time to do it, says ShirleyAnn Robertson, a financial advisor with Prudential in Schaumburg, Ill. You don’t want to remain exposed to rising interest rates and late charges when you’re no longer earning a paycheck. Some advisors say amassing an arbitrary amount ($1 million, $2 million?) 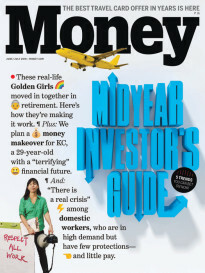 is less important than determining how much you plan to spend in retirement. One general rule of thumb for calculating how much you’ll need is to take your annual expenses and multiple them by 25. For example, if you spend $75,000 a year, you’ll need $1.88 million to live on, assuming you live for 25 years in retirement. Subtract from that total the amount you’ll receive from Social Security and any pensions that you might have. The remainder is the amount you’ll need to fund on your own, from your retirement savings, says Brett Anderson, a certified financial planner in Hudson, WI. Many advisors say that spending in retirement holds fairly constant, adjusted for inflation. Early retirees tend to spend disproportionately on leisure activities and later retirees tend to spend disproportionately on health care expenses. In other words, your spending may not drop that much, if at all, in your less active, later years, since health care expenses will consume the dollars that used to go toward recreational activities. Medical costs rise at a higher rate than general inflation, roughly by 5% or 6% per year, and that spending can mount quickly in older age. You know what you’re retiring from. But what are you retiring to? You’ll need some activities to fill your days, and your plans should give you a sense of purpose. Work confers status and validation, and stepping away from your career can lead to a loss of identity, says Joe Sicchitano, head of wealth planning and advice delivery at SunTrust Bank. Look for opportunities such as volunteering that can offer you a similar sense of belonging and recognition. Pace yourself, though. Some retirees, fearing too much free time, pack their schedules just as tightly as when they worked. Once you’ve made commitments, it’s hard to extricate yourself. Pick an activity or two that you’re excited about, try them out for the first few months of retirement, and if you have time and energy to spare, then add one activity at a time until you have the right mix. Consider the impact your retirement will have on your partner, if you have one. Stay-at-home spouses can find long-time routines disrupted when the bread-earning partner stops working and is suddenly around all the time. If you’re retiring first and your spouse continues to work, line up some friends to keep you company on weekday activities. Your natural inclination may be to spend more time with your spouse, but if that’s not realistic, schedule-wise, then having alternate plans arranged will take the pressure off the marriage. “You need a plan for that extra time,” Sicchitano says.